There’s nothing like a pot roast cooked to fall apart tenderness to make you feel warm inside and out! Here’s the recipe for perfect slow cooker pot roast, which will lead to the absolutely perfect cool weather supper. Leave room for seconds! Ah, pot roast. It can be a wonderful tender dish of hearty and comforting deliciousness, or it can be…dry. And chewy. And I am here to tell you that I have been there at the dry and chewy end of cooking a pot roast for hours, a pot roast that smelled like all kinds of heaven, only to have it taste like all kinds of not-heaven. So in an effort not have this happen ever again to anyone in the universe, I need to tell you about my perfect-every-time in the slow cooker pot roast. Perfect. Every Time. There are a few things you have to do in order to make this perfection happen. First, you gotta make it in the slow cooker. Low and slow, all day long. If you ask me if you can make it on the stovetop, I’m going to say no – I’ll be nice about it, but I have to insist on the slow cooker. Besides, what’s better than dunking everything into the slow cooker and coming back 8 hours later to have dinner all made? Nothing, that’s what. Okay, maybe bacon and chocolate, but that’s IT. Second, you need a nice marbled piece of boneless chuck roast. Don’t mess around with any other cut of meat, and make sure it’s marbled with a few streaks of fat. That’s part of where we get the nice flavor. You are going to sear it on the stovetop for for about 5 minutes on each side to give it a nice crust, then pop it in the slow cooker with some carrots and onions and a few stalks of rosemary and a couple of cloves of smashed garlic. Next, the sauce. Things cooked in the slow cooker need a little liquid, and we are going to put an exceedingly wonderful liquid in there. We are going to cook up a sauce made of red wine and chicken broth (yes, chicken broth) and flour and tomato paste and and grainy mustard and Worcestershire sauce and yum, yum, YUM. Pour it over the beef, pop the lid on the slow cooker, and go do something else for the next 8 hours. When you come back, the veggies and the beef will be cooked to tender wonderfulness. Scoop out the beef and lay it on a large board or platter. Scoop out the veggies and put them in a bowl. 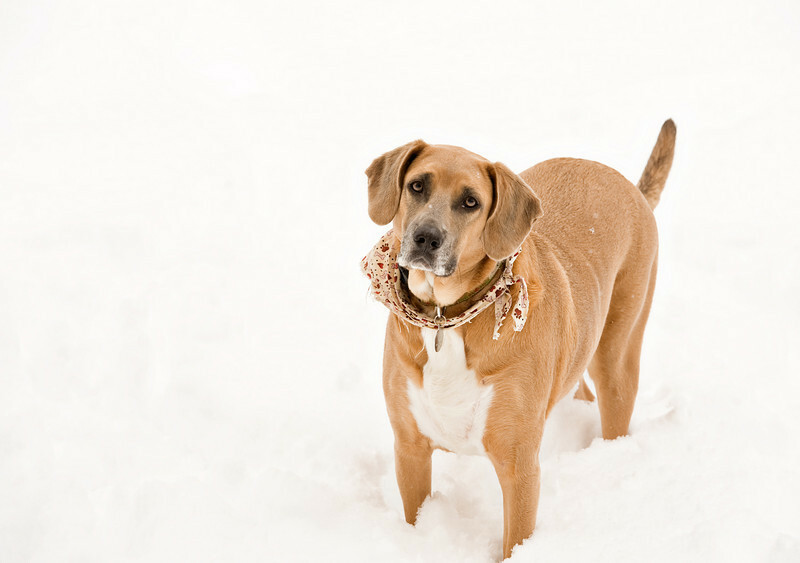 Toss the rosemary sprigs – they have done their job. Now using two forks, pull the tender beef into large ragged chunks. Don’t cut it – you want the ragged edges because they will hold all the perfect sauce we are about to finish up. There's nothing like a pot roast cooked to fall apart tenderness to make you feel warm inside and out! 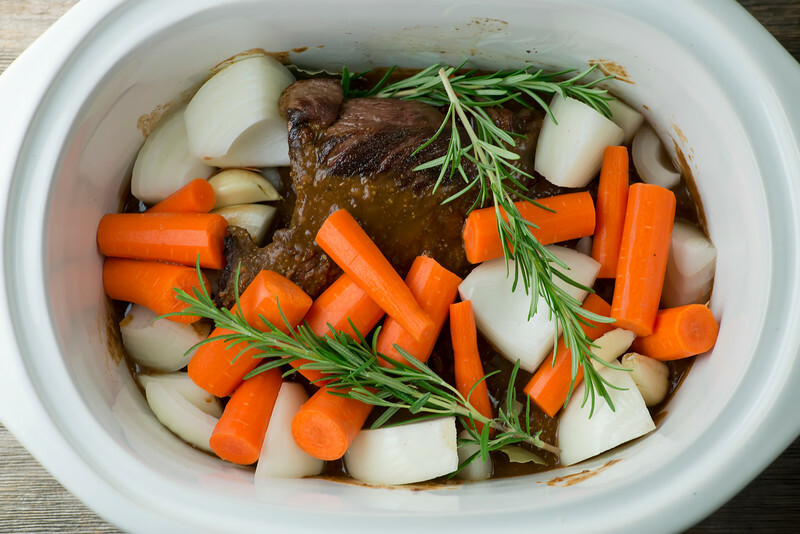 Here's the recipe for perfect slow cooker pot roast.Click to TweetCrank the heat on your slow cooker up to high and add in 1/4 cup of flour. I like to add it through a fine mesh strainer (I have one of those little hand-held ones) so that there are no lumps. Whisk whisk whisk until it is a little thickened. Now return the beef chunks to the slow cooker and stir them around until they are coated with sauce. All that’s left to do now is ladle out the beef into warmed bowls, spoon on some veggies, and if you like, sprinkle with some toasted bread crumbs and chopped parsley. The bread crumbs add a little crunch that I am pretty much in love with. Aside from the fact that you NEED a reliable pot roast in your back pocket at all times, you need it even more because (and don’t shoot the messenger) sometime in the next few months we are going to be up to our knees in this. And then perfect pot roast is not only nice, but absolutely necessary! Brrrr and yum. There’s nothing like a pot roast cooked to fall apart tenderness to make you feel warm inside and out! Here’s the recipe for perfect slow cooker pot roast. Heat canola oil in a large deep skillet over medium high heat. Sear roast for 5 minutes per side. Remove to slow cooker. Reduce heat under skillet to medium and add flour. Stir for a minute, then pour in red wine and whisk until smooth. Add tomato paste, chicken broth, mustard and Worcestershire and stir until simmering. Pour over beef in the slow cooker, lifting up the beef to let a little of the sauce get underneath. Add carrots, onion, garlic and rosemary to the cooker. Cover and cook on low for eight hours. Sometime in that 8 hours, make the breadcrumbs by sauteing them in the olive oil over medium high heat in a medium skillet until golden and crispy. Set aside. After 8 hours, remove the beef and shred with two forks into large chunks. Scoop out the veggies with a slotted spoon and put in a bowl, tossing out the rosemary. Turn the slow cooker to high and add the remaining flour, shaking it in through a small fine mesh strainer if you have one. Stir until the sauce is slightly thickened. Taste and season with salt and pepper. Return the beef to the cooker and stir it around until it is well coated with sauce. 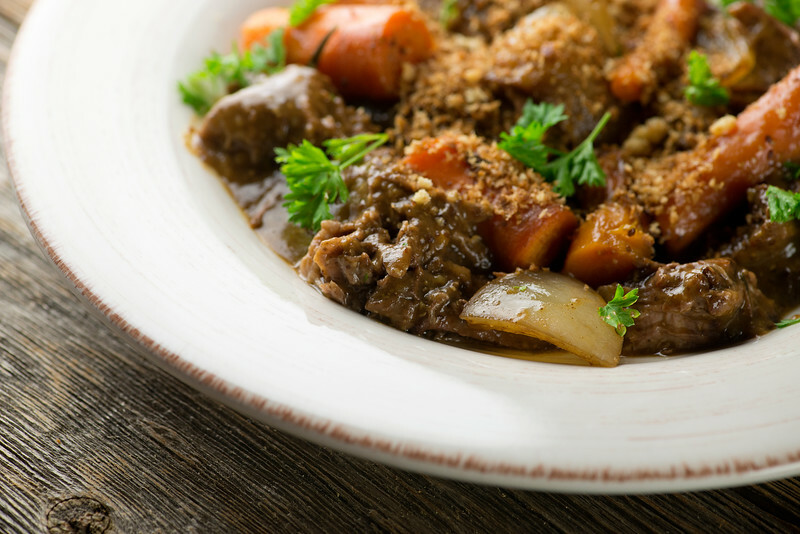 Spoon beef into warmed bowls, add veggies and garnish with bread crumbs and parsley. You read my mind (and not for the first time)! It’s going to be pretty cool here in NC for the next few days, and I woke up thinking about pot roast this AM! My mother was the queen of dry, in-the-oven pot roast and I don’t want to go there!!! This sounds great! Pot roast is the BEST on those first chilly days, right? Mine generally fall into the dry and chewy category, can’t wait to try this recipe! Hands down the very best results I’ve ever had with pot roast, guests wanted to take home doggy bags but I sort of laughed that off, no one was getting my leftovers.Thanks. The best pot roast I’ve ever made. The sauce is a beautiful thing, mine did not need the second addition of flour, it was a perfect consistency. Shredding the meat is also key, getting unctuous, tender chunks of meat.